Century Travel Agency celebrated a milestone as the 100th tourist visited the island of Rota. 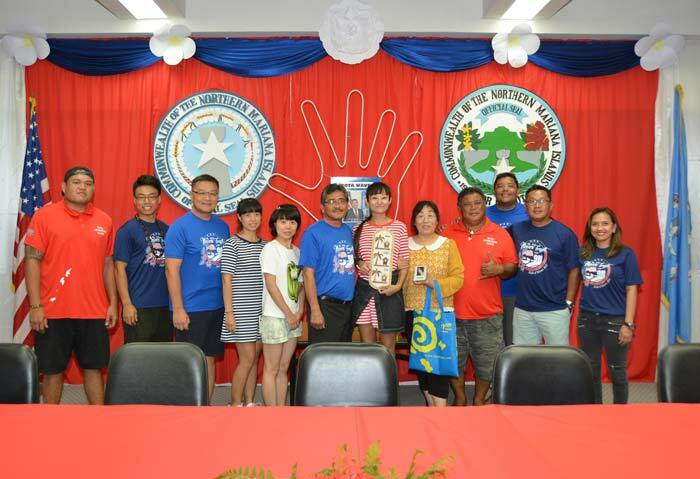 Gao Baoling, a native of Beijing was the 100th tourist of Century Travel to set foot in Rota since the agency organized a day tour. Rota Island boasts of breath taking sceneries such as the giant latte stones carved out of limestone at the As Nieves Latte Stone Quarry, the Sagua’gaga Seabird Sanctuary, Rota’s Swimming Hole, the Tonga cave and Rota Cave Museum, its Tweksberry Park, and Mt. Tapingot. Aside from the tourist destinations, the island also prides in local food that dates back to the ancient Chamorro such as the coconut crab and the hot spicy beef soup. Truly, it’s a must-have journey to every tourists list!